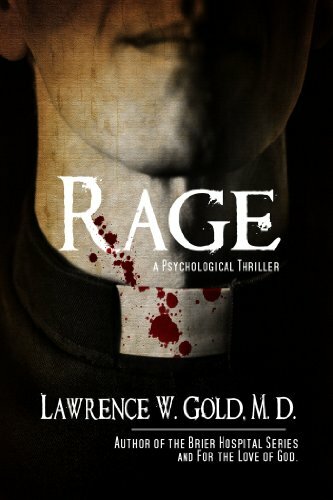 Rage is a murder, mystery, thriller that raises important issues in forensic science, psychology today, and the practice of clinical psychiatry. Strange things are happening in Hillsborough, the affluent suburb of San Francisco: normal people without a hint of psychiatric problems suddenly become violent. None have motive for assault or murder, and being residents of Hillsborough is the only factor they have in common. While they remember nothing of their violence, observers describe their behavior as strange-like an automaton. Michael Rose, a psychiatrist and expert in forensic science and his associate, Karen Scott, a clinical psychologist, study the people accused of these crimes. They suspect that this behavior is more than psychiatric, but fail to come up with a credible explanation. The legal and medical establishments scratch their collective heads about how to assign responsibility for these acts as advocates make their cases while Michael and Karen pursue the truth. Finally, Michael and Karen discover what happened, but we must await the climax and denouement to understand. Rage is not only a 'who done it', it's a 'why and how done-it.' FROM FIVE STAR REVIEWER 6/29/2014: This book gripped me and would not let go! I have read almost every single book Lawrence Gold has written. I have yet to find one I didn't absolutely enjoy! Rage does have medical components but is a stand alone novel apart from his hospital series.